When fake silver oxidizes, it becomes a green and bronze color that gives away the fact that your jewelry isn't as real as it seems. Oxidization occurs when the materials in imitation silver are exposed to air, light or moisture, resulting in a chemical bond that creates a greenish or bronze color that can rub off on your skin. Preventing the chemical reaction between air and the metals in the imitation silver also prevents the unsightly color change. 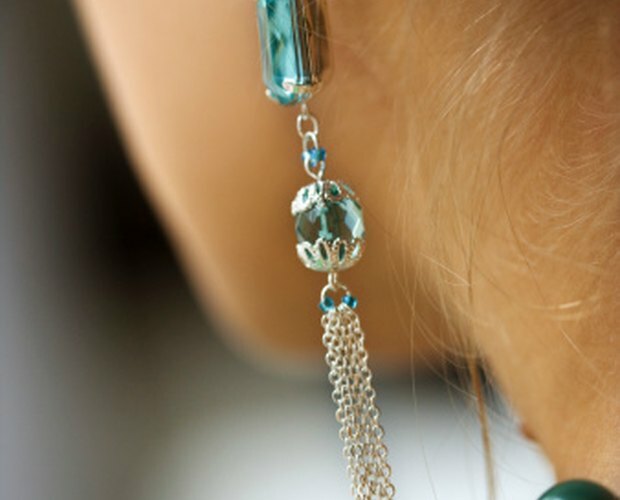 Coat your imitation silver jewelry with clear nail varnish. This will slow down oxidization by minimizing exposure to air, skin, salt and humidity. 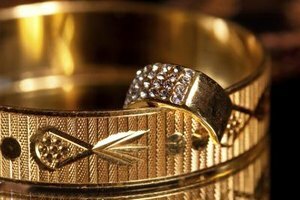 Remove jewelry promptly when finished and wipe it down with a soft, clean cloth. This removes any lingering traces of salt and oils, which cause oxidization, from the skin that transferred to the jewelry while being worn. 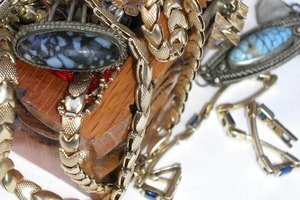 Wrap your jewelry in an anti-tarnish cloth or bag before storing. These materials slow down the oxidization process and extend the life of your jewelry. Store your imitation silver in a dark jewelry box to minimize exposure to light, a cause of oxidization, between wearings. 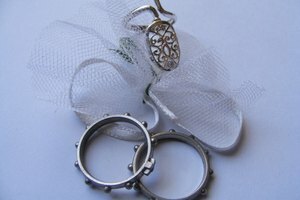 Ask a jeweler to plate imitation silver jewelry in rhodium. This prevents oxidization of the metal. 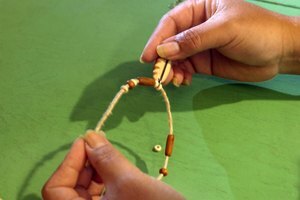 Avoid applying sunscreen, cosmetics or perfume to areas near imitation silver jewelry. These compounds speed up oxidization and aid in transferring oxidized metal to your skin, leaving a green or bronze stain. Jewelry Secrets: WHY DOES SILVER TARNISH & TURN BLACK? 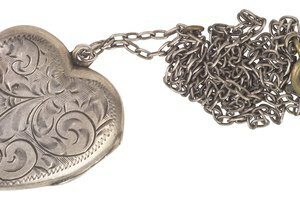 WHAT MAKES STERLING SILVER TARNISH & CAN IT BE PREVENTED?